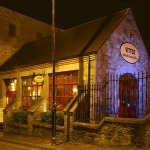 VITTOS is the perfect location whatever the the occasion with its vibrant friendly atmosphere in which everyone is welcome. Birthday parties, hen nights, anniversaries and work promotions. Special children’s menu! 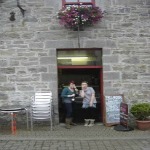 Serving pasta, pizza, salads and traditional Irish dishes. Closed Mondays. Complete Stockist of Quest Vitamins and supplements, Vogel range, Udo’s Choice oil blend, Burts Bees, Natural hair colour, Gluten and Wheat free diets catered for, Organic baby wipes, Krill oil. For all your health needs it has to be Oasis….. Open 6 days Monday to Saturday. 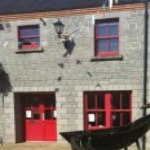 Jiksaw hair design is located in the market yard, Carrick on Shannon. We are dedicated to offering only the best hair care and we pride ourselves on outstanding customer service at an affordable price. 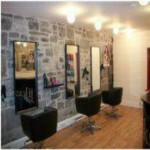 Our customers are treated like individuals and we style your hair to suit you. Please call the salon for more information or visit our website. 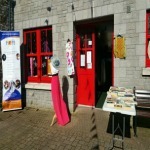 The North West hospice Charity Shop is located in the market yard,Carrick on Shannon. It stocks everything from second hand designer clothes as well as bags, fascinators, ornaments, gifts etc. We are specialists in dyeing leather boots and shoes, 29 different colours to choose. Are your Heels too high? No problem. We can always shorten them a bit.